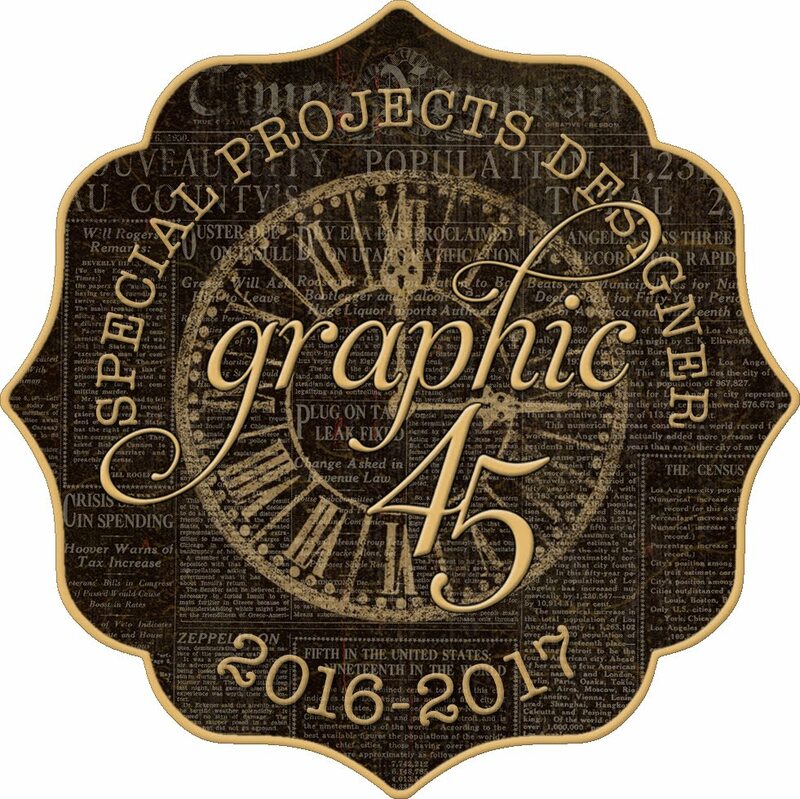 I don't know about you, but I just love that Graphic 45 has been bringing back some old favorites. As I've probably mentioned before, they are called Deluxe Collector's Editions and one of the most recent ones is An ABC Primer. A true favorite for those, like me, who love the vintage school themed imagery and colors. 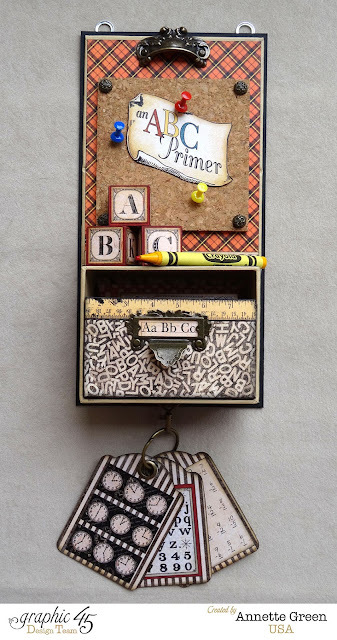 I'm featured on the Graphic 45 blog this fine Sunday with my altered ATC book box, which I transformed into a fun interactive display. Wouldn't this be fun to hang on a child's bedroom wall or playroom? 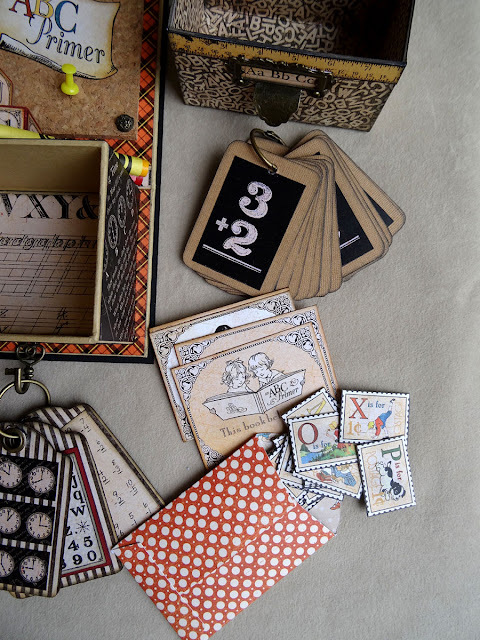 There are flashcards in the drawer, a mini envelope with alphabet pieces, and much more. I hope you take a moment to check it out. Here's a peek at the project below, but be sure to hop over to the Graphic 45 blog for more close-ups, details and the supply list. While you're there, you're sure to love Keri Sallee's envelope mini album also made with An ABC Primer. It's amazing! Thanks and enjoy your Sunday! This looks fun. The cork board is a wonderful touch. I'll hop on over and check out the details.